Partnering with an industrial supply distributor that can quickly replenish the hand tools and other industrial supplies you utilize on a day-to-day basis at your Wichita, Kansas, area business is imperative to maintaining efficiency within your operation. That’s why more and more local companies are turning to the trusted team at Wm. F. Hurst Co., LLC. Our company not only offers a comprehensive selection of brand-name hand tools, but we also keep our inventory stocked with the products our customers need. This ensures that we can promptly fulfill orders for the supplies you rely on each and every day, helping you avoid potential downtime that can have a negative impact on production at your Wichita, KS, area business. No other local distributor can match the expertise that exists on the staff at Wm. F. Hurst. Our highly trained representatives have vast knowledge of all of our products and their specific applications, as well as proficiency across several industries. Furthermore, our commitment to customer service is unparalleled. Whether you need hand tools or other industrial supplies, you can always count on our representatives to take the time to assess your needs and make product recommendations that can help you improve processes and reduce costs. 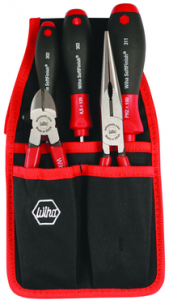 To learn more about our selection of hand tools, please contact Wm. F. Hurst today. Also, don’t forget to inquire about the wide selection of other industrial supplies we offer to businesses throughout Wichita, KS, and the surrounding area.